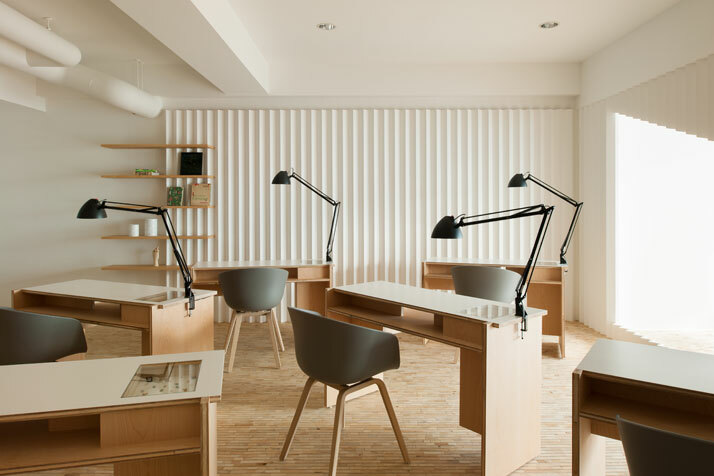 Situated in Japan's third largest city, Osaka, Kolmio+LIM nail salon possesses a calm, understated atmosphere that is characteristic of the work of a younger generation of Japanese interior designers. 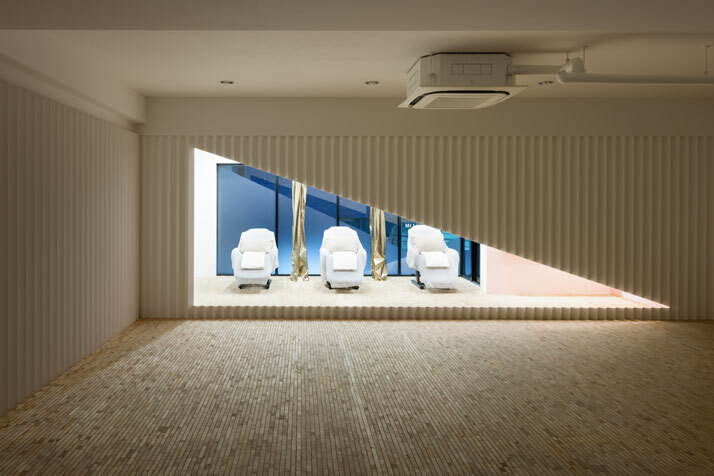 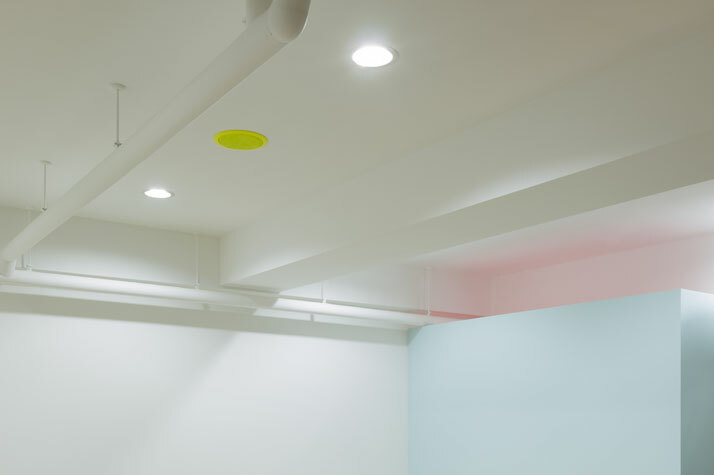 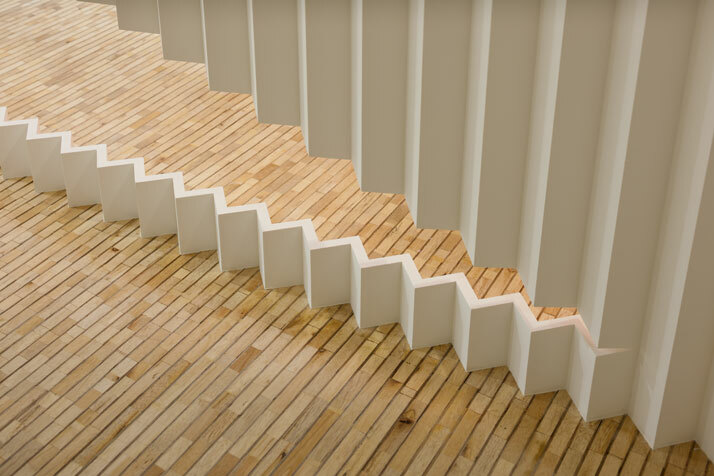 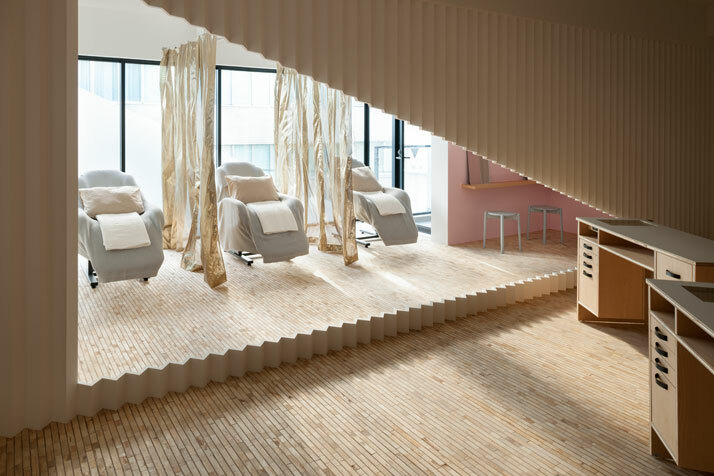 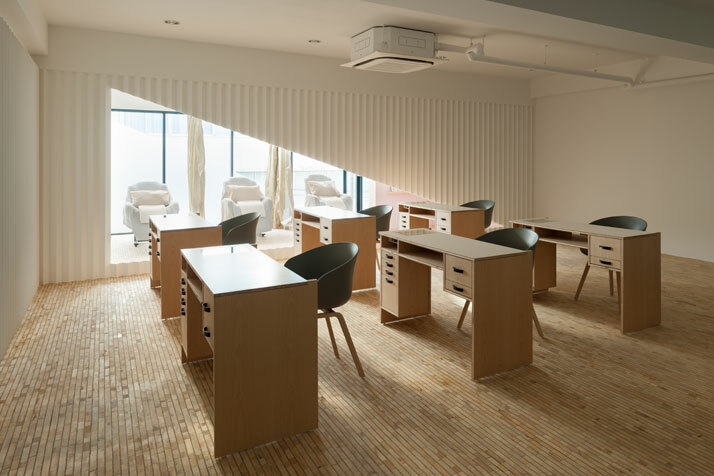 Completed in September 2013 as an expansion of the popular Less Is More (LIM) hair salon, the new nail salon was designed by Tokyo-based designer Yusuke Seki, and playfully incorporates elements drawn from the venue’s provided services and name (kolmio means triangle in Finnish). 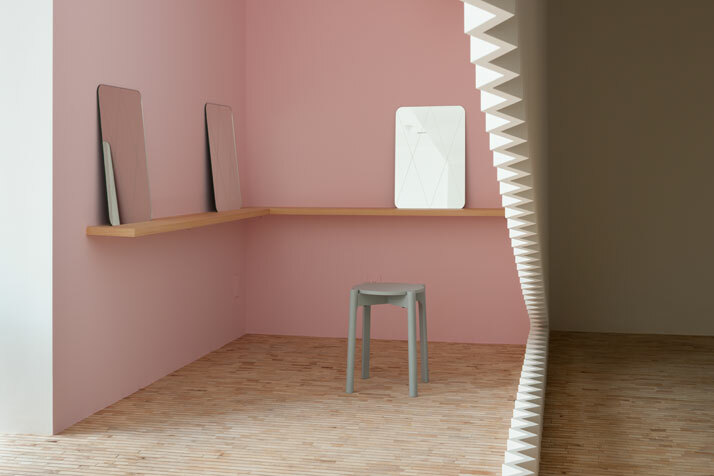 With the starting point for the colour palette being the tones of human skin and nails, other design features were inspired by the process of painting nails (seen for example in the surreal zigzag wall, which according to the designer, references the way glitter in nail polish refracts the light). 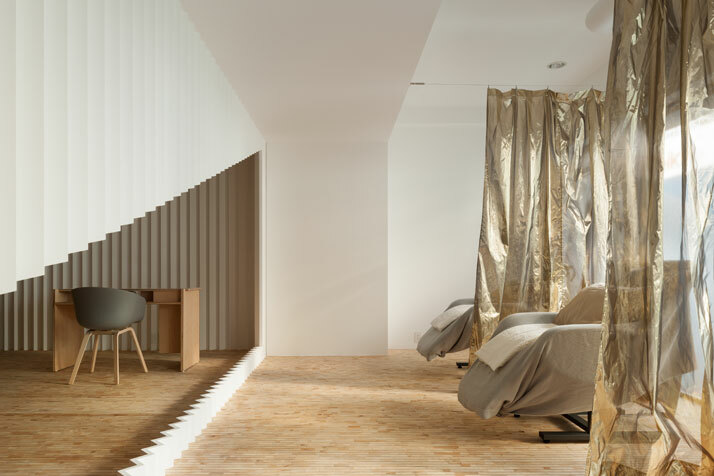 An opening on the zigzag wall lets natural light into the main space, while groups of three stools, three mirrors and three beauty chairs poetically reference the salon’s name. 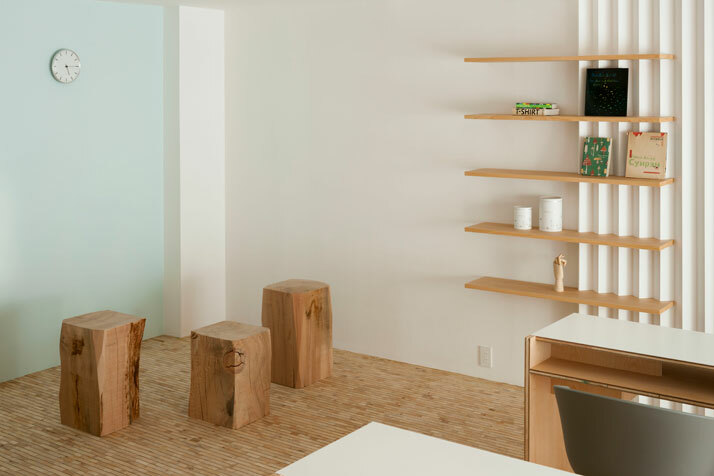 The overall sense is one of simplicity and relaxation, as if the serene, minimal space has been conceived as a place to hide from the hustle and bustle of the big city outside.